In 1938, Superman made its debut in Action Comics #1. Superman was the work of two Jewish creators, neither of which was Stan Lee, the giant of the comics world who died today at the age of 95. And in fact, Superman, for all his Jewish roots and back story as a newcomer named Kal-el, was a fantasy of what its Jewish creators wanted most in 1938. A paragon of righteous strength that would fight evil in the name of truth, justice and the American way. A protector, like the Golem produced by the Rabbi of Prague to defend the Jews in his precarious time. Stan Lee, who enlisted in the war against the Nazis that Superman took on, left a different superhero legacy. The Marvel Universe of which he was to become the chief creator, was not a place of perfect specimens who stood with chiseled chins against the enemy. They were complicated figures struggling with their own humanity, as well as their own superpowers. Their secret and public identities. Only a handful were actually Jewish, Ben Grimm of the Fantastic Four for instance, but they were instilled with a sensibility that came from Stan Lee’s own understanding of responsibility through a Jewish lens. The Marvel staples that Stan Lee helped bring into the world were, for the most part, not bulletproof and, without exception they were susceptible to the even deeper wounds of encountering real life with real identities. Stan Lee lived this way as well. 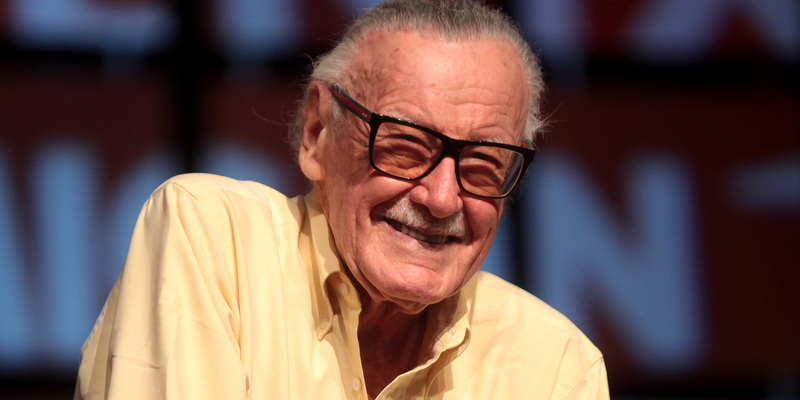 In addition to the creativity and edgy heroes and plotlines, Stan Lee would include his direct thoughts about the world without the cover of a mask. He would “lay it out straight” exhorting his readers to defeat enemies that couldn’t be punched in the face or zapped with a raygun. Enemies such as the bigotry of racism, sexism, and xenophobia. He was not afraid to link his morality to a particularly Jewish concept of how each of us are made “in the image of God.” Considering that he built major flaws into even the gods and god-like beings he created, like Thor, the Hulk and Professor Xavier, it makes sense to me that maybe the G*d whose image they were all created in, was similarly conflicted, vulnerable, and not immune to grappling with the responsibility of immense power. Of course, over the years, Stan Lee’s creations went through many forms and were shaped by many artists in different media. Now they are best known as denizens of the movie version of the larger Marvel Comic Universes. The Avenger Superteam, Guardians of the Galaxy, the X-Men, the phenomenon of the fully realized world of Wakanda in Black Panther. And in each of the Marvel movies, Stan Lee made his ubiquitous cameo, whether as a Fedex delivery man or random guy staring at alien invaders. But more than the cameos, as long as these characters exist, no matter what form they take or who they are shaped by, they have Stan Lee’s DNA. In this way, too, they resemble our people. We need not be wise-cracking or from Queens, plucky, or picked on, or any other type-casting from a certain slice of Jewish identity. Neither fantasy savior or eternal nebbish. Neither Superman nor the American Way were enough to protect Jews in 1938. And the jury is still out as to what it will take to protect us today. But we can be sure our heroes will neither be fantasy saviors nor eternal nebbishes, like Stan Lee’s characters, hailing from every background, ethnicity, sexuality, gender, personality and realm, united only by a sense of what it is to be imperfect people with extraordinary powers. Like all of us, created in G*d’s image and looking to take the world higher. Excelsior! These words are dedicated to another superhero in my life, my best friend Jason Dobin with whom I shared so many of Stan Lee’s panels and the world he inspired. Jason died at the age of thirty-two, rarely revealing all of his secret identity and all of his superpowers, but forever being my hero. Your memory is a blessing to all who who know you, all you touched and well beyond the Marvel Comic Universe.